Tip 1: Preparing for new rules on dealing with dicamba: Anyone who buys, handles, or applies certain dicamba products on a growing crop that’s resistant to the weed killer now has to be a licensed pesticide applicator and has to take dicamba training. These new requirements aim to reduce the potential for dicamba to drift onto sensitive crops. 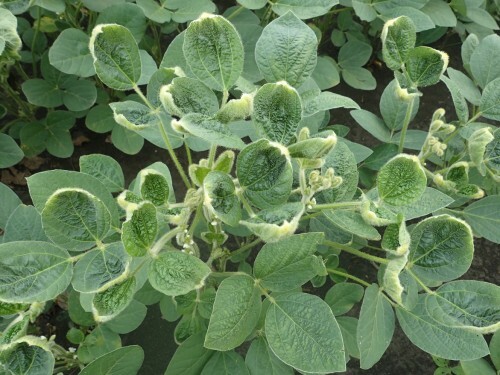 The Environmental Protection Agency on Oct. 31 required changes to labels of three dicamba products: Xtendimax, Engenia, and FeXapan. The changes detail additional stipulations on when and how to use the product to try to protect nearby fields. Staff affiliated with the Ohio State University Pesticide Safety Education Program have prepared training videos to assist growers in preparing for the Core Pesticide applicator exam. Ohio State University Extension educators also are offering training courses around the state for the Core and agronomic weed control exams. OSU Extension is the outreach arm of The Ohio State University College of Food, Agricultural, and Environmental Sciences (CFAES). For more information regarding the new pesticide applicator training courses and videos and dicamba training dates, visit go.osu.edu/pesticideclasses. Jenny Andon, program manager for the Pesticide Safety Education Program, can address questions about the changes to the dicamba label. Andon can be reached at andon.1@osu.edu or 614-292-4070. Tip 2: Beannut Butter entrepreneur: Sara Steinbrunner, a senior in CFAES, has developed an alternative to peanut butter for anyone allergic to nuts: a garbanzo bean spread that is free of the eight most common allergens. Steinbrunner and business partner Taylor Crooks are producing, marketing, and selling the spreads, called Beannut Butter, all while Steinbrunner is still a student. For an article on Steinbrunner that can be republished, visit go.osu.edu/beannut.